Can irony change the world? 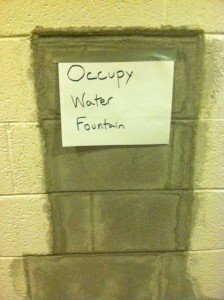 On an October 2011 visit to a college dorm hallway in Colorado, we saw a spot where a water fountain had been removed, and the wall cavity patched with cinderblock. The dorm residents had put up a sign: “Occupy Water Fountain”. It was during the height of the Occupy Wall Street protests. Also during the Fall of 2011, scattered across the Internet were pictures of funny (really funny) protest signs from the Occupy Wall Street protest and its affiliated protests across the US. And each weeknight, the Daily Show and the Colbert Report hysterically slay hypocrisy and make fun of politicians. I am a huge fan. This past few weeks, Stephen Colbert’s elaborate satirization of American campaign finance, notably the new mechanism of the SuperPAC, has intensified, gaining all kinds of attention, support, and condemnation. Do irony or satire or humor have a place in changing our society for the better? I think there’s enormous power in them to do so, but I also think that there is risk that they take us off task, and actually weaken resolve. Satire, in effect, can diffuse or divert anger, even as it may educate more people about hypocrisy, injustice, and government foolishness. 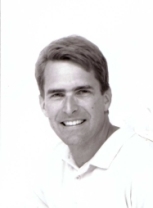 I am concerned that the United States has become a mockutocracy–a place where mockery is the standard behavior and where it may often supplant the sequence of anger, organization, and action that we need to drive needed change. Does mockutocracy work? The jury is still out. What is satire accomplishing in the current wave of events, including the problems in US electoral politics and the US Congress. It can feel good and entertain us, but does the satire just create an alternative to a political party–a club of cynics? The participants of that “party” participate mainly by endorsing the mocking, and expecting not much to change. Are many even motivated to vote and take other political action? It’s not that the fans of satire don’t want things to change, but more that they succumb to the sense that the mockable will always be that way. That, I think is the risk. Can we learn to go more reliably from satire to political action? I think we must. John, I think the freedom to be satirical is of great value, even if it does defuse anger. With the answer to that question, one might be able to suggest Jon Stewart and Stephen Colbert take a more orchestrated and focused shot at directing a solution to our current, tumultuous political situation.